March 30, 2004  Eric Clapton once wrote that Robert Johnson's best songs have "never been covered by anyone else, at least not very successfully — because how are you going to do them?" Now the rock guitarist has recorded Me and Mr. Johnson, a CD of the legendary bluesman's works that Clapton calls a labor of love. 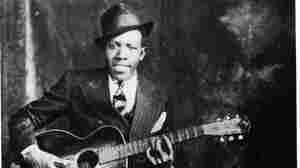 June 5, 2000  Robert Johnson's famous blues tune inspired musicians like John Lennon and Jim Morrison. February 16, 2010  Influencing everyone from The Rolling Stones to Cassandra Wilson, the blues recordings that came out of the Mississippi Delta from the late 1920s through the late '30s have had an enormous impact on American music. 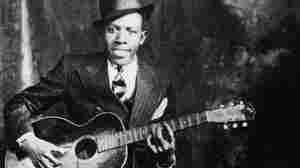 Hear songs from Charley Patton, Robert Johnson, Son House and more. 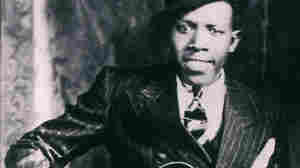 You've Never Heard Robert Johnson's 'Complete Recordings'?! May 6, 2011  NPR Music intern Catherine DeGennaro finds out while the context may change, the blues stays the same. May 6, 2011  Despite hardy rumors that the bluesman sold his soul to the devil, Johnson's most important legacy is his mastery of recorded music.